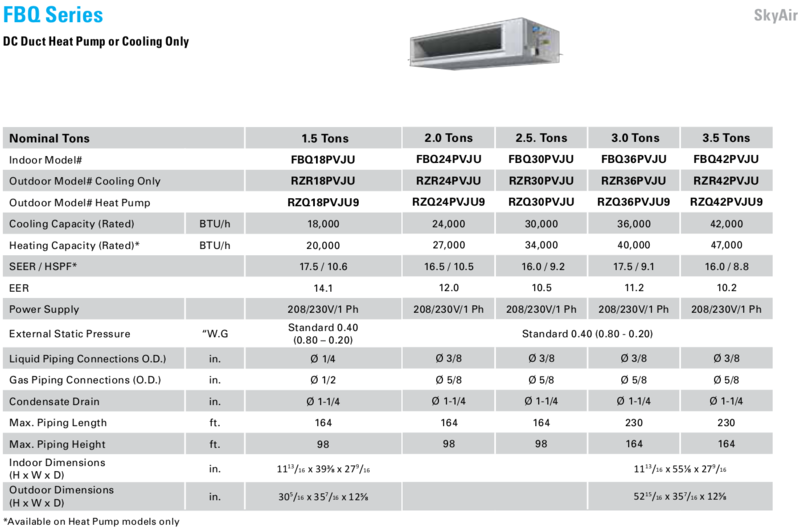 Daikin 30000 Btu in Minisplitwarehouse.com Why Buy With Us? Every system you’ll find for sale has been reviewed by our team of experts. Buy Daikin 30000 Btu 16 SEER Slim Ducted SkyAir FBQ Series Heat Pump AC. Price: $4,299.99 ex. tax. Call us 877-770-3548 or visit our website.